KARACHI: Chief Justice of Pakistan (CJP) on Friday summoned Sindh Chief Minister Murad Ali Shah as he was informed that the Sindh government departments were not cooperating with the Joint Investigation Team (JIT) probing money laundering of over Rs100 billion. The court was also told about the purported lack of cooperation from the Sindh government and other departments in the probe, at which Chief Justice Nisar asked to meet Chief Minister Murad Ali Shah in his chamber. The top judge clarified that he was not summoning CM Murad but would meet him in his chamber regarding complaints that the Sindh government was not cooperating with the JIT. Chief Secretary Sindh, in attendance before the court, informed that all records have been shared with the JIT. The JIT head acknowledged that all documents have indeed been received, but are yet to be scrutinised. The chief justice remarked that he would remain in Karachi till the JIT receives all records it needs in its probe. All provincial chief secretaries have assured the court of cooperation in the case, he added. The Federal Investigation Agency is investigating 32 people in relation to money-laundering from fictitious accounts, including former president Asif Ali Zardari and his sister Faryal Talpur. The Supreme Court (SC) ordered an inquiry into Rs73 billion, acquired in loans by the Omni Group, and warned of strict action against those who defy the court orders. The apex court resumed hearing of the case against fake bank accounts that were used to launder over Rs100 billion out of Pakistan, at its Karachi Registry on Friday. The head of the Joint Investigation Team (JIT) Ahsan Sadiq was present in the court, along with other officials. He informed the court that the Omni Group owed Rs73 billion in loans, of which Rs23 billion was owed to the National Bank of Pakistan and the rest to other private banks. 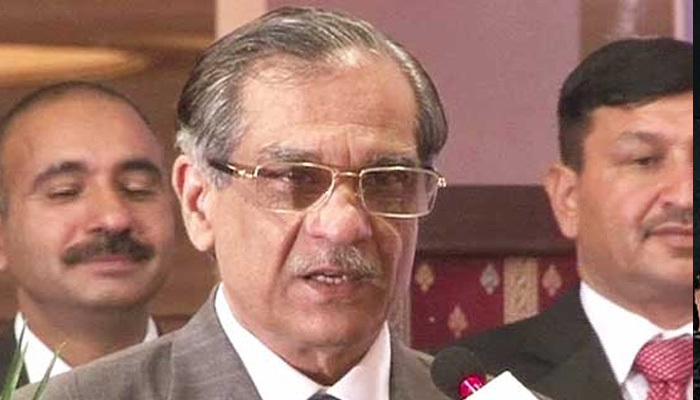 Chief Justice Mian Saqib Nisar directed that an inquiry be conducted into the loans owed by the Omni Group, and warned that strict action would be taken against those who fail to follow the court orders. He remarked that he would summon response from the group after reviewing the final report on the matter. Zardari’s close aide Hussain Lawai was arrested in July in connection with the probe. The former president's another close aide and Omni Group Chairman, Anwar Majeed, and his son, Abdul Ghani Majeed, were also arrested by the FIA in August. Lawai, Majeed and his son remain under custody. Earlier this week, FIA sources informed that the mastermind of the money laundering and fake accounts case, Aslam Masood, had been arrested by the Interpol from Jeddah.